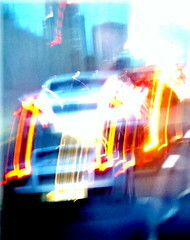 Irresponsible drivers are, without a doubt, the main cause of most major car accidents. So many crashes result from drunk or drugged drivers, or at least distracted drivers, leaving innocent victims in the hospital and with thousands of dollars to pay in medical and repair bills. But isn’t it the case that some roads, because of the faulty way they are designed or laid out, seem to cause more accidents too? Imagine the danger when irresponsible drivers find themselves on such roads! Take a recent Miami Beach crash as an example. Here we have a driver speeding in a sports car, not paying attention, when he rear-ends a suburban, leaving one person involved dead. The driver was going at least 100 miles per hour when he slammed into the back of a suburban stopped at a stop light. Both vehicles were thrown several yards before finally coming to a stop. The passenger in the sports car was killed, and the drivers of both vehicles were taken to the hospital. Both vehicles are completely demolished, shredded by the impact and resulting rescue measures. Local residents who often use the McArthur Causeway in Miami Beach say that many other accidents have happened here, involving pedestrians, bicyclists, and vehicles. In fact, one reported remembering a very similar crash happening in the same spot about a month ago. If you’ve recently been in a major car accident, you may be eligible for compensation your insurance company won’t dare tell you about. You’ll need expert legal representation to make sure you get the support you need and deserve. Callus at Miami Car Accident Lawyers for more free information.